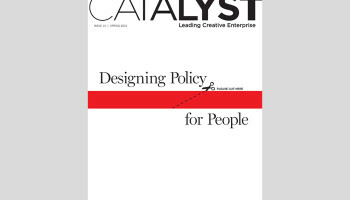 Catalyst was designed to stimulate thinking and encourage conversation about the role of strategic design in making and shaping an economy that is generative, humane, resourceful and “good by nature.” Our first issue examines the design of everyday life: our cityscapes, our buildings and educational systems. We explore the consequence of deeply contexted and community-focused design strategies that can enrich and sustain. A global economy need not threaten community or commons. Robust commercial activity can enable and enliven. But this will require that design serve life and that design strategists catalyze the transition from an economy that generates negative consequences for human health and environment to an economy that is truly generative: benign by design. Catalyst is an international dialogue on strategic design sponsored and published by the graduate program in Design Management at Pratt Institute of Art and Design. 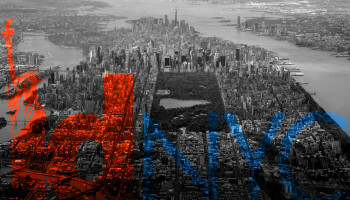 We begin the conversation where we are located, in New York City, a city which has established itself as a leader in the design of urban space, social transformation and economic innovation. Chair of Pratt Arts & Cultural Management and Pratt Design Management. 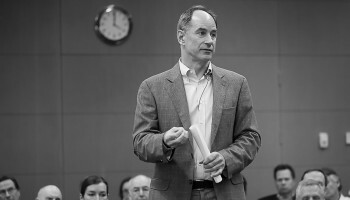 Partner, Strategies for Planned Change, an international consulting group specializing in strategic leadership of creative industries; visiting professor international universities including Esade, Spain; Koc University, Turkey; ISG, France; European University, Russia; former director, Management Decision Lab, Stern School of Business, New York University. Mary McBride has spent her career researching, redesigning and refining the meaning of design and its potential to encourage positive change within organizations and the world at large. The stakes in the 21st century are high, corporations are most able to marshal the resources needed to implement global solutions and the in-house design team of the future must play a role in how those solutions are undertaken. Mary's model called The Triple Bottom Line by Design succinctly yet powerfully defines the opportunity for design and designers to innovate to improve their companies¹ profitability while creating sustainable environmentally sound products and services that truly benefit our society.